Before I get to previewing the 2018 opening Sentry Tournament of Champions at the Plantation Course of Kapalua in Hawaii, let's take a quick look ahead to the major championships for this year. Bovada , for example, has yes-only props on several big-name players as to whether they will win any major in 2018. World No. 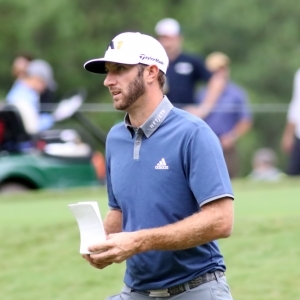 1 Dustin Johnson is +165. Jordan Spieth has the shortest odds at +160. You an also bet on which player leads the money list this season, with reigning PGA Tour Player of the Year Justin Thomas the +275 favorite there. He won it last season and is first already with a little more $1,766,500. That's because he won the CJ Cup at Nine Bridges tournament back in October. The Masters will be held from April 5-8 in 2018, and obviously at Augusta National as that's the only major at one specific course. Sergio Garcia is the defending champion as he finally got the best player to never win a major monkey off his back last April. The U.S. Open is from June 14-17 at very tough Shinnecock Hills in New York. It was last there in 2004 when Retief Goosen won and Phil Mickelson had one of his many runner-up finishes in the only major he hasn't won. Brooks Koepka took the 2017 U.S. Open in Wisconsin for his first major. The British Open is at Carnoustie in Scotland from July 14-17. You surely remember the 1999 Open Championship there when Frenchman Jan van de Velde had arguably the biggest choke job in sports history and Paul Lawrie won in a playoff. The course last hosted the Open Championship in 2007 when Padraig Harrington won his first career major. Spieth won the Claret Jug last year at Royal Birkdale. The PGA Championship visits Bellerive Country Club outside St. Louis from Aug. 9-12. Seven of the past eight winners of that tournament have been first-time major winners, including Thomas last year. Bellerive last hosted a major in 1992 when Nick Price won the PGA Championship. The Sentry Tournament of Champions is just as it sounds: an invitation-only event for winners from last season (so no Tiger Woods). There are 34 players slated to tee it up. Thomas (2017), Spieth (2016) and Johnson (2013) are the only former Kapalua champions in the field. Thomas finished at 22-under 270, three shots ahead of Hideki Matsuyama. It was the seventh straight time an American won it. The last repeat champion was Aussie Geoff Ogilvy in 2010. Stuart Appleby won it three years in a row starting in 2004. It's a rare par 73 on Tour, and if it's not windy the course isn't hard. Ernie Els holds the tournament record score of 31-under set in 2003. Everyone makes some money because there's no cut. A total of 14 players are making their tournament debut. A first-timer hasn't won this event since Daniel Chopra in 2008. Spieth is the +600 favorite at Bovada . It's clearly a course he likes as he hasn't finished worse than third in three trips. He has finished in the Top 8 in his past six tournaments worldwide. Thomas is +600. He was T21 in his first trip to Kapalua in 2016 before last year's victory. Johnson is +750. He was sixth last year, his fifth straight Top 10 at the tournament. Rickie Fowler is +750. He has two Top 6 finishes here, last in 2016. Fowler is coming off a win at the unofficial Hero World Challenge in the Bahamas. Koepka rounds out the favorites at +1100. He was third at Kapalua in his lone trip in 2016. Koepka finished last in the Hero World Challenge, though. Not a ton of props because of the short field. For a Top-10 finish, take Spieth at -300, Johnson at -250 and Matsuyama at -150. Only two options to choose from among top Europeans (most are still overseas): Jon Rahm (-650) and Jonas Blixt (+375). Go with Matsuyama at +125 for top rest of the world player. Take Johnson at -110 over Fowler (-120), Spieth (-120) over Thomas (-110), and Rahm (-115) over Koepka (-115). I'm going Johnson to win, extending his amazing run of 11 straight seasons since debuting on the PGA Tour with at least one victory. You can also get him at +400 as top American.